What changes need to be made in 2014, if they have not already been made? 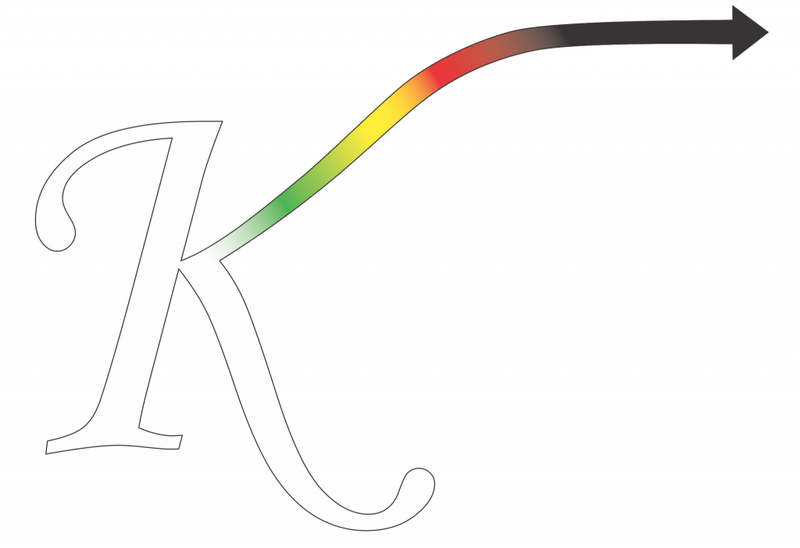 Ketamine – for those of you who already have ketamine, great work. Continue to improve patient care. Do not let the rest of us slow you down. Excited delirium – ketamine is the fastest way to sedate a violent patient. Pain management – ketamine dissociates without respiratory depression. 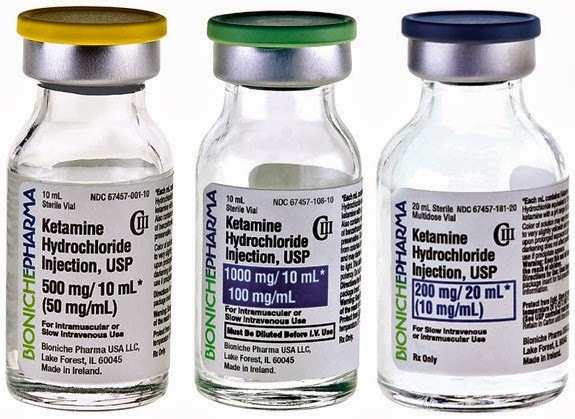 RSI (Rapid Sequence Induction/Intubation) – ketamine dissociates without respiratory depression. Asthma – ketamine opens the airway. Awake intubation – ketamine dissociates without respiratory depression. Sedation for extrication – ketamine dissociates without respiratory depression. 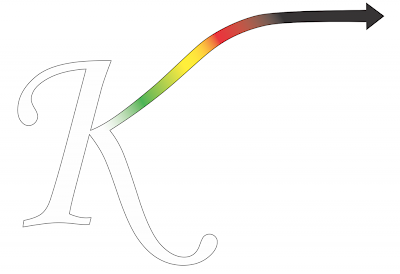 Safety – ketamine is safe. Here are some podcasts to explain in more detail. Dr. Mel Herbert on ketamine. Dr. Baruch Krauss on ketamine. 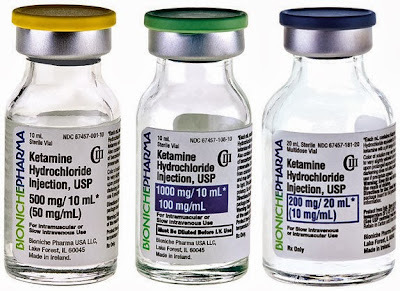 Ketamine in the Emergency Department. Dr. Sergey Motov on ketamine. Dr. Scott Weingart on ketamine. Page with a link to the free mp3 download, but watch the video first – it is excellent. Dr. Jim DuCanto on ketamine. Part 3 – Are you mad enough? Part 4 – A fitting end? Would you prefer to have something to read about ketamine? Dr. Reuben Strayer on ketamine. 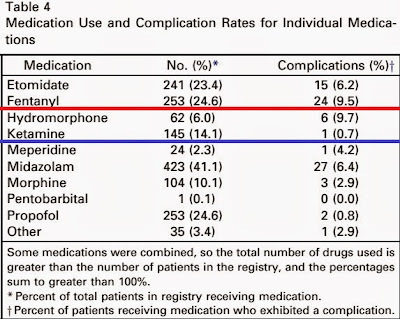 Is there any good reason to not be using ketamine in EMS? 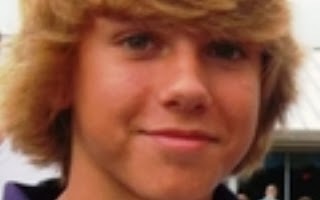 Thank you to Michael Berrier for providing a link to a much more detailed account of what I wrote about in Ambulance Mistake Killed Teen After Skateboard Accident. I mentioned almost all of those problems in what I wrote based on the much more limited information in the article I had read. I missed attempted to falsify the medical records to cover up their negligence; and several of the comments mentioned physical restraints (which I did not mention) in addition to chemical restraint. Was I so accurate because I am psychic? Airway disasters happen in predictable ways. When people fail to recognize an esophageal intubation, it is not difficult to figure out why it happened. If I were to write about a ball rolling to the edge of a table and falling due to gravity, it would be a similarly predictable scenario. There was a failure of assessment, which is also a major part of how the tube was removed in the first place. Proper assessment should have prevented the need for re-intubation. Going back to the beginning, a series of choices led up to the apparently very preventable death of a child. Intubation seems extreme as prophylaxis for a possible basilar skull fracture without evidence of injury by CT (Competerized Tomographic scan), but there may have been a good reason. The gold standard for airway protection is not intubation, but the patient protecting his own airway. Was there some reason to believe that the patient would not be able to protect his airway for the entire trip to the trauma center? The article mentions that the respiratory therapist . . .
. . . had been licensed for less than a year at this time and was not properly trained or adequately experienced in intubating a patient outside of a hospital setting. The next paragraph mentions stopping to pick up a paramedic, who then drove the ambulance. Was the paramedic supposed to handle intubation? Was the paramedic supposed to handle intubation while driving? That would indicate great skill, but incredibly bad judgment. 11:10 Ambulance leaves the hospital. ??:?? Paramedic is picked up. 11:15 Sedation wears off and tube is pulled out. Did the crew change distract everyone from recognizing the signs of lack of sedation? Was the patient on a drip, which should have been adjusted up for the increased stimulation of an ambulance ride bouncing down the road in a truck? Did the hospital just discontinue sedation because they have failed to consider the patient’s needs once the patient is out of their bed? Was the crew supposed to provide bolus sedation en route? Were they provided with broad enough orders and enough sedative for the ride? They were within 5 minutes of the sending hospital. Why didn’t they turn around and head back? If there are complications, the hospital has more resources to deal with those complications. Clearly, the plan they were following was not remotely a success. They had left the hospital, stopped to switch crew members and drivers, and the patient had burned through his sedative and pulled his tube out. They should still have been able to see the hospital, unless there were a lot of trees, buildings, or something else blocking their view. 11:43 They arrived at the trauma center. Late entry 04:10 11/15/2013 – They diverted to a closer hospital. They did not reach the trauma center until much later. It appears that they could have taken the patient out of the ambulance and pushed the patient back to the sending hospital in less time – without decreasing the quality of care provided. (The paramedic) pulled the ambulance off the road and, according to the ambulance report, all four crew members worked to suction and re-intubate Drew with (the respiratory therapist) being primarily responsible for the attempted re-intubation,” the complaint continues. “Drew was given paralytics and sedatives, which meant he could not breathe on his own. He was completely dependent on the oxygen from the endotracheal tube. Drew was intubated into his esophagus rather than his trachea and was not receiving oxygen and could no longer breathe on his own. At the time of the re-intubation, Drew’s parents were parked in their car immediately behind the ambulance. Within 5 minutes of the hospital. “The crew never used objective testing, such as colormetric testing or capnography, to verify that the endotracheal tube was in his lungs and not his esophagus. Why is anyone still using colorimetry? It is litmus paper that provides false positive and false negative results that many users fail to recognize as erroneous. Moisture ruins it and there is moisture in every breath exhaled from human lungs. Exhalation of moisture is the reason some people use moisture in the tube as an indication of proper tube placement. What they fail to realize is that moisture can also come out of the esophagus, so this is not of much help in confirming tube placement. The only justification for the colorimetry litmus paper is if there is a malfunction of the waveform capnography that prevents the use of waveform capnography. According to the article, the crew did not even try to use that inadequate method of tube confirmation. RSI is Rapid Sequence Induction/Intubation – an intubation involving the use of sedatives and paralytics. The intubation in the ambulance is described as using both. “Almost as soon as the attempted re-intubation was done, Drew’s heart rate began to drop and they could not find a pulse. What does PALS (Pediatric Advanced Life Support) state about the sudden deterioration of an intubated patient? Reevaluate tracheal tube position and patency in patients who remain agitated despite effective mechanical ventilatory support and each time the patient is moved, such as into or out of a transport vehicle. If the condition of an intubated patient deteriorates, consider several possibilities that can be recalled by the mnemonic DOPE: Displacement of the tube from the trachea, Obstruction of the tube, Pneumothorax, and Equipment failure. 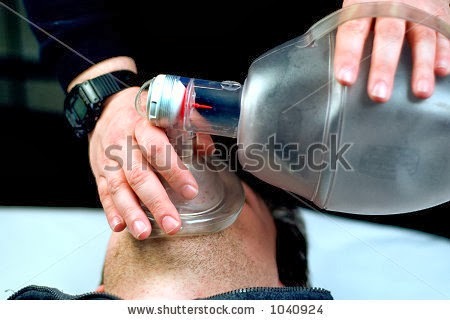 If tracheal tube position and patency are confirmed and mechanical ventilation failure and pneumothorax are ruled out, the presence of agitation may require analgesia for pain control (eg, fentanyl or morphine) and/or sedation for confusion, anxiety, or agitation (eg, lorazepam, midazolam, or ketamine). Pull the tube and ventilate with a BVM. If deterioration is due to Displacement, the patient should improve. If deterioration is due to Obstruction, the patient should improve. If deterioration is due to Equipment failure, the patient should improve. If the patient does not improve, that leaves Pneumothorax and the patient should have large bore needles of adequate length to reach the lungs stuck into both sides of the chest to decompress the apparent tension Pneumothorax. If things deteriorate, we need to become very aggressive very quickly. This is one reason why a prophylactic intubation for transport may be a bad idea. According to the ambulance records, at approximately 11:25 p.m., Andrew’s heart rate is in the 30s and he has no pulse. CPR was started and epinephrine was given. Pediatric bradycardia should automatically suggest one problem much more than any other problem. Epinephrine does not treat hypoxia. The problem was not a lack of epinephrine. In general, pediatric out-of-hospital arrest is characterized by a progression from hypoxia and hypercarbia to respiratory arrest and bradycardia and then to asystolic cardiac arrest.2 17 18 Therefore, a focus on immediate ventilation and compressions, rather than the “adult” approach of immediate EMS activation or defibrillation, appears to be warranted. In this age group, early effective ventilation and oxygenation must be established as quickly as possible. Four people in the back of the ambulance. Three of them should have taken PALS, or been familiar with the material covered in PALS. PALS repeatedly recommends BVM ventilation. Hypoxia -> Bradycardia -> Cardiac Arrest – > Brain Death. BVM ventilation can interrupt that deterioration. Ventilation can prevent the deterioration to bradycardia. Ventilation can prevent the deterioration to cardiac arrest. Ventilation can prevent the deterioration to brain death. The tube does not appear to have been removed for BVM ventilation. What would we expect to see if the patient had been ventilated with a BVM prior to losing pulses? What would we expect to see if the patient had been ventilated with a BVM after losing pulses? An increase in heart rate and ROSC (Return Of Spontaneous Circulation). These improvements would not always happen, but they are the most likely to happen with ventilation. I am calling for orders. I receive orders to do the most important and most obvious assessment – an assessment I should have done over 20 minutes ago – an assessment that should be continued throughout transport, I but still have not done it. I see what I want to see – a cardiac arrest that indicates that it is time to give another drug. I continue to ignore the reassessment that is part of the algorithm. According to the complaint, “The ambulance was diverted to CarolinaEast in New Bern because Drew’s condition was deteriorating. They arrived at Carolina East at 11:43 p.m. according to the ambulance records. 11:25 Cardiac arrest (tube probably in esophagus). 11:30 Still dead (tube probably in esophagus). 11:35 Still dead (tube probably in esophagus). 11:38 Medical command contact and diversion to hospital five minutes away (tube probably in esophagus). 11:43 Arrival at hospital and tube is pulled out of esophagus following assessment of tube placement. Why did the doctor pull the tube? Drew had no pulse on arrival. Once at CarolinaEast, the emergency room physician documented that Drew’s color was cyanotic, there was no fogging of the ET tube and Drew had rumbling sounds in his stomach. All of these are classic signs of an esophageal intubation. Apparently, even without waveform capnography, it was obvious that the tube was in the wrong place. Cyanosis and rumbling breath sounds in the stomach? How do you assess tube placement, observe these signs of esophageal intubation, and come up with excuses to justify leaving the tube in place? This appears to be an example of cognitive dissonance. We believe so strongly that we are doing the right thing, that we ignore abundant evidence to the contrary. I should check the tube. Nah! He just needs some amiodarone (which coincidentally can cause skin to turn blue). It sounds like I am ventilating his stomach. Nah! He just needs to be defibrillated. Medical command told me to check the tube. Nah! I saw the tube go through the cords. “A respiratory therapist at CarolinaEast immediately extubated and re-intubated Drew on the first attempt,” the complaint continues. “Within a few minutes his blood oxygen saturation level returned to 100 percent and his vitals improved. It appears to have been an easy intubation. It appears to have been an easy assessment. Why did the paramedic, respiratory therapist, nurse, and basic EMT not check placement of the tube? This is one of the reasons we need to constantly look for evidence that we are wrong, rather than evidence that we are right. We tend to be satisfied with inadequate evidence if we only look for confirmation. We can talk ourselves into almost anything. At some point we all probably engage in cognitive dissonance. We need to anticipate this and aggressively seek evidence that contradicts what we want to believe. Our patients’ lives may depend on our ability to avoid cognitive dissonance. The paramedic, respiratory therapist, nurse, and basic EMT cannot change the outcome, but they can learn from it and make sure others learn the importance of ventilation for children and the importance of looking for evidence that we are wrong. The family of Drew Hughes cannot get him back, but maybe a part of the settlement can include some attempt to educate medical personnel, so that fewer other families experience the kind of pain they live with. Posted: Wednesday, November 6, 2013 9:51 am | Updated: 9:56 am, Wed Nov 6, 2013.